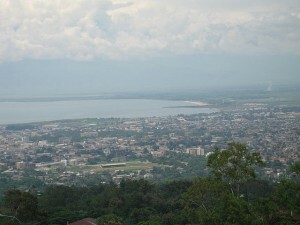 Education in Burundi, like all infrastructure in the country, suffered heavily during the turmoil of the civil war. Although free mandatory public education has recently been established, funding and teachers are lacking. Completion is also low, with only about half of students making it all the way to fifth grade. Even more discouraging, many children spend their days looking for food, or can’t focus in the classroom because of hunger and the devastating effects of chronic malnourishment. With nearly fifty students to every primary school teacher a student that makes it to secondary school has to be extraordinarily dedicated and often very lucky as well. A bachelors degree is an amazing accomplishment, and it has great value both for the person who earned it and for Burundi as a whole. Burundi has a dearth of educated professionals to fill needs for infrastructure design and implementation. Water and power systems are among the major concerns, and both require educated engineers and workers to plan and build. A highway system, medical care, national power, all these systems require extensive planning and support, not to mention expensive materials that need to be manufactured or acquired through foreign trade. Education is not a cure-all for the struggles that the people of Burundi face, but it is an incredibly useful tool, and it may be the only way out of the poverty and hunger that is the current reality. Hope Africa University is helping fill this need.